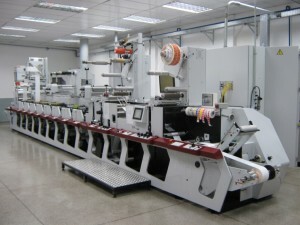 Narrow Web Flexo printing has grown very fast in the last 20 years. Many food and household items packaging is printed on narrow web presses (20” and under) that are as little as 4 colors to sometimes 12 colors. So why so many color decks? One is color matching and second is press diversity. Color matching on a flexo press is not the same as digital or offset. Flexo printed 4 color process images often come through with excellent clarity and good color vibrancy however solid colors made from process colors can often be muted or too bright. Flexo printers like ourselves, will usually break out a solid color to its own PMS and print it as a solid; thus the need for a 5th or 6th color deck. Also some of my colleagues are printing HD (High Definition) flexo and need 6 color decks to start. Also printing opaque whites on clear film is another reason for additional print units. We need these extra print decks to achieve what the customer wants to be reproduced. At Apogee every day of the week we are printing 4 color process plus a 5th or 6th or 7th spot color. We are also printing opaque whites on clear then overprinting the opaque whites with 4 color process images. Press diversity is the second reason for this need for multiple print decks. More print decks enable a narrow web flexo printer like Apogee to print more than just a label. Multiple print decks enable us to print two sides of the web to do badges, tickets, timing marks and other information. Multiple print decks enable print on the adhesive and then print multiple colors on the face of a label. 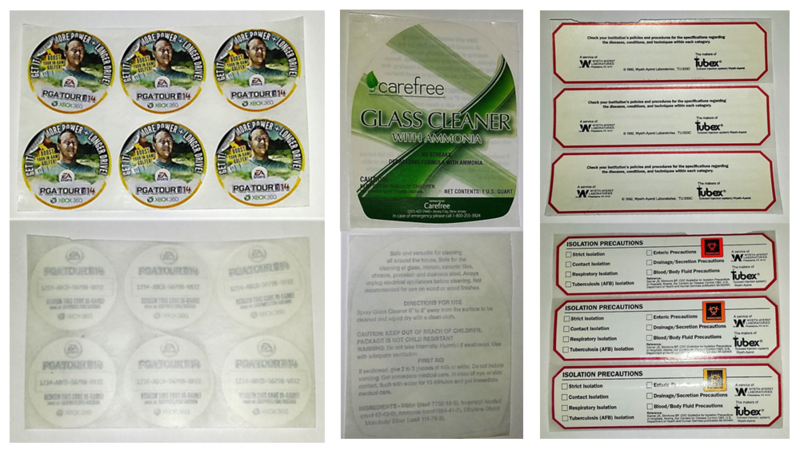 They also enable adhesive deadening to make specialty constructions like peel tab labels. If you are in need of booklet labels or similar items you need a minimum of 8 print decks for not only printing on multiple webs but also to marry multiple webs together to make the finished product. At Apogee all of our narrow web flexo presses have 8 print decks enabling us to print a fine looking label but also very unique products to serve the simple and sometimes complex needs or our growing client base.